THE MAHONES – The Irish Punk Brigade. From an Irish pub to an Academy Award winning movie: The Mahones have come a long way in 25 years. Heralded as pioneers of the Irish punk scene, and internationally recognized as one of the best and hardest working punk outfits around, The Mahones formed on St. Patrick’s Day in 1990, and have been working on their own brand of Irish punk ever since. With a working class ethic and a love of classic punk, Dublin-born Finny McConnell formed the band to combine his love of punk rock with his Irish culture. Alongside McConnell are Katie Kaboom, Michael O’Grady, Sean Riot Ryan, Gui Lauzon and Gina Romantini. The Mahones have released an incredible ten studio albums, three compilation albums, two live albums and two EPs. Their albums have featured many guest appearances, including Jake Burns (Stiff Little Fingers), Simon Townshend (The Who), Ken Casey and Rick Barton (Dropkick Murphys), Dave Baksh (Sum 41), Greg Keelor (Blue Rodeo), Tony Duggins (The Tossers), Johnny Fay and Gord Sinclair (The Tragically Hip), Ian D’Sa (Billy Talent), Mary Margaret O’Hara, Ian Blurton, Damhnait Doyle, Ian Thornley and Tara Slone. Their music has been featured everywhere. Their song “Paint the Town Red” was featured in the climactic final fight scene of the 2x Academy Award-winning film The Fighter. They’ve had songs in a slew of movies and TV shows, including Irving Welsh’s Ecstasy, Dog Park, Celtic Pride, ABC’s Castle, Lost Girl, and many more. The band has toured through 35 countries internationally, headlined festivals all over the world, and has been honoured to share a stage with nearly all of their favourite bands. The band grew from Irish pubs and punk squats, to halls, theatres and arenas, touring relentlessly since their start, and is famous for an incredible high-energy live show. In 2016, The Mahones released a best of compilation: The Very Best (25 Years of Irish Punk) featuring brand new recordings of their classics songs on Whiskey Devil Records, and a deluxe version of their magnum opus The Hunger & The Fight, the first ever Irish punk double concept album that the band recently released to critical acclaim worldwide. In 2010, The Mahones started their own record label in 2010, Whiskey Devil Records, and have already released their past five albums through it, with major distribution worldwide (True North Records). 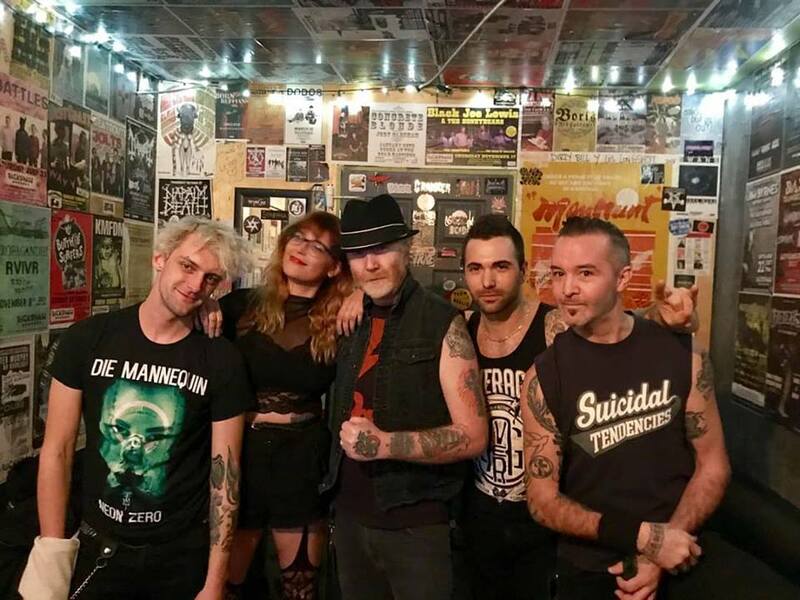 Sailor’s Grave Records released The Mahones’ 2016 albums in the US. The Mahones new album, Love – Death – Redemption, was released in Fall 2018.